We insure and bond our carpet cleaning technicians to ensure your safety and satisfaction in Winston-Salem. At Steam Source, we understand where you live and where you work are two of the most important places. That’s why we’re committed to providing homes and businesses in Winston-Salem, North Carolina with cleaner, healthier and more beautiful indoor environments. We’re committed to helping people learn how to protect their valuable carpet and furniture investment through proper cleaning, care and maintenance. 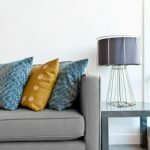 Our trained cleaning professionals use our 10-step cleaning process to ensure that your home or business looks its best, and we always take the time to move your furniture free of charge. 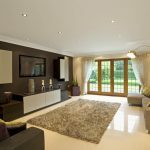 We provide an inspection of all carpets and upholstery prior to all cleanings, spot treat areas as needed, apply protective sealants, and complete a final inspection with you to make sure you are fully satisfied. Our free 15-day warranty also makes it easy to give us a call if you notice a problem after our cleaning services are done. We know that having a stranger come to your home or workplace can be a stressful experience, but we aim to remove all hesitations and reservations you may have. We provide safety, security, and peace of mind by making sure all of our technicians are insured and bonded before they step through your doors to provide cleaning services. We conduct thorough background checks and drug screenings on all our technicians, and we strive to give all of our customers the best service experience with every visit. 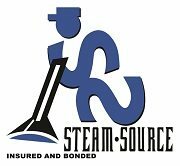 There are lots of reasons you won’t need to go anywhere else for your cleaning needs once you’ve hired our professionals at Steam Source. Contact us today to learn more about our carpet cleaning, tile and grout cleaning, duct cleaning and other comprehensive services for your home or business in Winston-Salem. 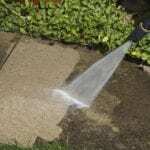 We are your number one source for clean!